Moisture and mould problems are inherent in many homes, boats, and caravans. It’s important to arm yourself with an understanding of how moisture accumulation resulting in mould can be affecting your health. The vocational division of our business has allowed us extensive insight into mould remediation. This will help you make informed decisions and take action to ensure you have a healthy home. Our mission at Pingi is to ensure that our customers receive superior customer service, advice and quality product solutions to reduce moisture and mould problems. This page will assist you in understanding what mould is, how it is caused, why it’s a problem, and we will give you advice in eliminating this problem. Mould is a general term used to describe types of fungi which grow indoors and outdoors. Mould spores are invisible to the naked eye and multiply in moist conditions which are often humid and poorly ventilated. Moisture and mould are closely connected. The main cause of mould is moisture. Moisture accumulation is common in many areas of the home for a wide range of reasons. Mould will often grow on organic matter and in humid, moist, poorly ventilated and dark conditions. Whilst mould is part of the natural environment, indoor mould growth is hazardous to your health, and can induce a range of allergies and respiratory illnesses. It is also important to note that whilst you might not be able to see mould, you may still have a mould problem, as it is impossible to entirely remove moisture sources from a building. Mould growth is often also caused by building defects and/or condensation. In particular, less ventilated buildings result in moist air being trapped and this leads to mould growth on walls, furnishings, clothes and other valued possessions. Often appliances within a home can also be inadvertently contributing towards increased condensation and mould. For example, washing machines, dishwashers, driers and showers can contribute significantly towards increased moisture levels. Continually wiping up moisture sources, opening a window (or putting the bathroom fan on), and placing Pingis in enclosed locations where air flow is limited will all assist you to keep mould away. Please see our blog post on damp homes and the post on sources of moisture and mould for further information. 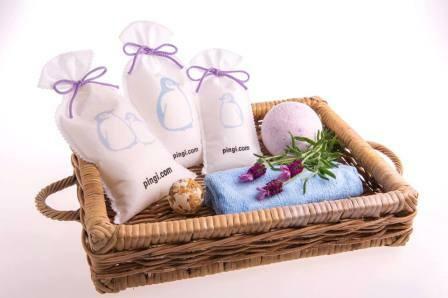 Pingi moisture absorbers will assist you to keep your belongings free from mould; see our product range here. Mould becomes an issue when it is present in large quantities and is visible. Indoor mould growth is unsanitary, undesirable, and can make you very sick, requiring you to eliminate excess moisture and remove mould using the tips outlined below. Mould will also grow after 24-48 hours on a suitable wet material. The main reason why moisture and mould are a problem is that mould exposure has many negative effects on your health. The more a person is in contact with mould, the more sensitive to it they will become, making their allergic reactions more and more severe. Typical mould allergy symptoms include: respiratory problems, cold/flu symptoms (coughing, sneezing, sore throat, blocked/itchy/runny nose, sinus congestion), itchy throat, sinus headaches, wheezing, itchy skin, hives, watery/itchy/bloodshot eyes, hair loss, or difficulty breathing. Mould can also induce hay fever-like symptoms and dermatitis. Other health problems contributed to mould exposure are nosebleeds, body aches, fevers, memory problems, mood swings, and depression. Additionally, moulds can cause serious lung infections in those with compromised immune systems, and has been linked to hypersensitivity pneumonitis. Another key problem of moisture and mould is that it can cause asthma attacks and has been linked to the worsening of asthma symptoms or other allergies according to research. The key to preventing asthma being triggered by mould exposure is to make sure that indoor moisture levels are kept under control throughout your house and ensure all rooms are well ventilated (see our blog post on indoor air quality for more information). Groups of people most at risk of developing more severe symptoms when in contact with mould include those with existing respiratory conditions (eg. allergies, asthma, chemical sensitivities), those with weakened immune systems, infants and young children, and elderly individuals. How can you get rid of moisture and mould? You can also use a dampened cloth and soapy water to physically remove mould, but be sure to wear a protective mask or respirator, disposable rubber gloves, and clothes that can be washed straight away, as you will be exposed to mould and chemicals in the cleaning process. As mentioned in another blog post, whilst most commercially available mould killers use bleach as an active ingredient, experts remain unconvinced that these products are effective in removing mould. Bleach also has a short shelf life and loses potency quickly, thus lowering the effectiveness of the product. A superior solution to removing mould is using vinegar combined with a few drops of clove of oil. It is crucial to not spray any water based solution onto mould as this has the effect of dramatically multiplying mould spores and causing them to become airborne. Putting your cleaning solution directly onto a micro-fibre cloth and physically removing with the dampened cloth will remove far more mould spores and remove them permanently. Ultimately, whilst it is possible to clean a big proportion of your home, it will be necessary to use PINGI Rechargeable Moisture Absorbers as they will absorb excess moisture and keep mould incubation at bay. These products can be positioned virtually anywhere, as they do not leak and require no refilling. Just recharge them in a microwave oven and use when required! Please have a look at how we approach our online customer service and sales. Our products contain silica gel pellets, making them safer to use and will not leak, making them superior to other dehumidifying products. Bedrooms. Storage. Bathrooms. Blinds. Gun safes. Cupboards. Wardrobes. Cars. Windscreens. Smartphones. Books. Window Condensation. Tools. Boats. Caravans. Pantry. Small rooms. Hanging in closets. Gifts.